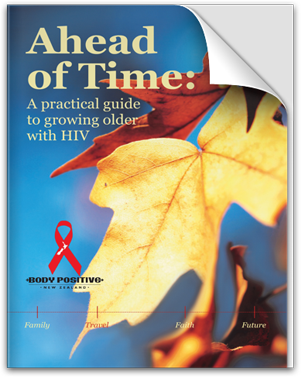 The impact of HIV on our bodies and on the immune system as we get older is greatly affected by ageing. HIV affects each of us differently. Some people progress to symptoms very quickly, while others live for 20-plus years without any signs of immune suppression or symptoms. Each of us ages differently as well. How well we age and how the ageing of our bodies‘ impacts upon our health is unique to each of us. Therefore, HIV infection - coupled with natural ageing - creates added challenges for maintaining good health. Ageing is a process that is natural for everyone - it‘s the process of growing older. The process of ageing includes a reduction in strength, endurance, speed of reaction, agility, metabolism, sexual activity and hearing acuity. The bones become more brittle, the skin drier and less elastic and the teeth may shed. Ageing is associated with, or responsible for, the ever-increasing susceptibility to disease and death that accompanies advancing age. There has been increasing discussion and great debate about what age this increased susceptibility begins, and whether this is very different for people who live with HIV. 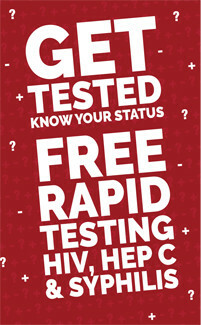 That age is different from the length of time a person lives with HIV. For example, a 60 year old who is newly diagnosed may have very different experiences and levels of health than a 60 year old who has been diagnosed for 20 years - this person‘s experience and level of health may also be very different depending on whether they have commenced treatments or not. Planning ahead, consulting with your doctor and staying in control of your health in the best way you can, is a practical way forward. By becoming a member you will be able to access all the services we offer, as well as support and updates to help you live better. Want to be keep up with whats happening at Body Positive? Subscribe to our newsletter below by submitting your e-mail address. © 2016 Body Positive Inc.